Thomas Jump moved to Tockholes in 1952 to Golden Soney Farm where he lived with his family. Marlene was the lass from the farm across the field. They became a couple when Marlene was 16 and were married on 8th June 1963. Golden Soney Farm was a working farm although Tom followed a path into laboratories and more specifically for Crown Paints. They have 3 children David, Gillian & Joanne. 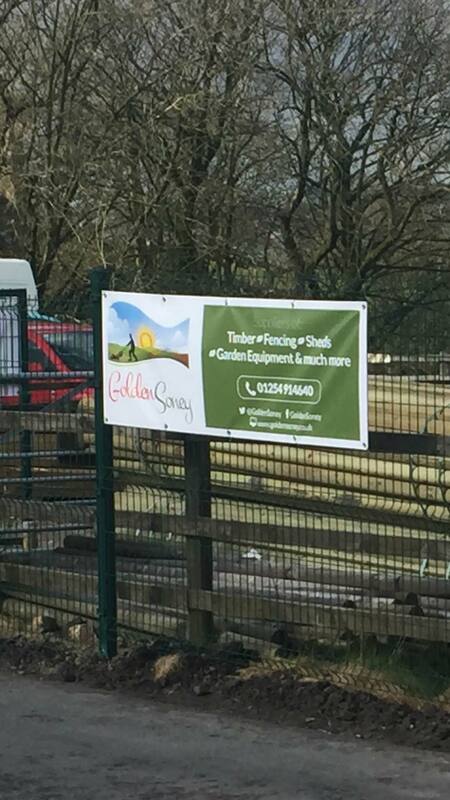 Tom decided he wanted a total change of working life and set up Golden Soney as we know it now in 1988 as an agricultural fencing & timber supplier. Tom was a key part of the Tockholes community being a founder member of the village hall comity and enjoying a pint every night in his local the Victoria Hotel! Golden Soney become very successful over a 20 year period before Tom sadly passed away on the 7th April 2006. The business was then run by his wife Marlene who continued for a further 10 years until retiring in November 2015. Son-in-Law Antony with wife Gillian (Tom & Marlene’s eldest daughter) have stepped up to the helm and are looking forward to taking the business forward.